LAUREL HIGHLANDS, Pa. (Oct. 16, 2017) – The Laurel Highlands Visitors Bureau (LHVB), the official destination marketing organization for Fayette, Somerset and Westmoreland counties in southwestern Pennsylvania, will present three tourism awards at the 59th annual dinner, Oct. 25, 2017. Since 1951, the Western Pennsylvania Conservancy has helped to protect more than 83,000 acres of rivers, forest lands, wild areas and scenic ridges in the Laurel Highlands. Lynda Waggoner, Director of Fallingwater and Vice President of Western Pennsylvania Conservancy, will accept the award on behalf the organization. 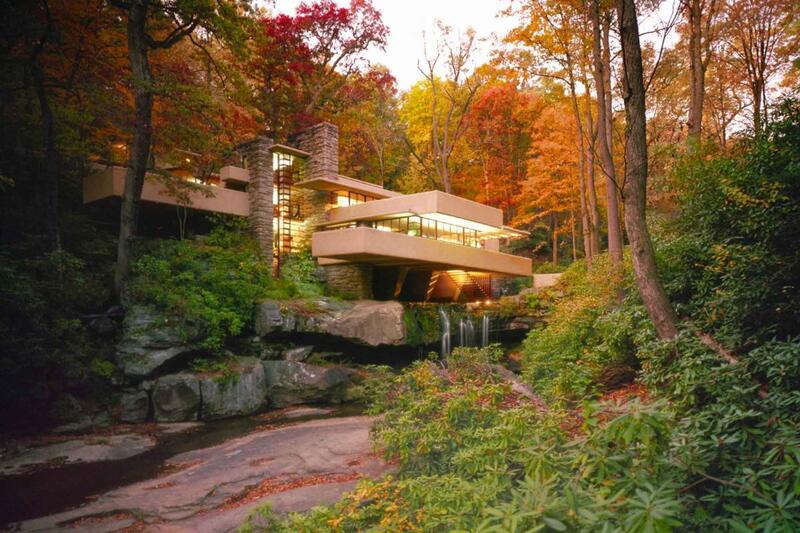 Fallingwater, and the 5,000-acre Bear Run Nature Reserve that surrounds it, each year attracts and welcomes thousands of visitors from surrounding states and across the world. Last year, Fallingwater had record high visitation of just over 181,000, bringing to 5.5 million the total number of visitors to experience Fallingwater since it opened to the public in 1964. Ohiopyle State Park: The Conservancy has protected more than half of this state park’s 22,000 acres over the years, beginning with the protection of Ferncliff Peninsula in 1951. Laurel Ridge State Park: The Conservancy protected more than 50 properties totaling more than 11,000 acres in the 1960s to establish this park and the Laurel Highlands Hiking Trail. The newly created Tourism Pathfinder of the Year distinction is presented to small tourism businesses making a positive impact in their community. Natives of suburban Philadelphia, the Gehringers purchased the former Yoder’s Motel in 2014. After extensive renovations, the house, which dates back to 1901, is now a beautiful 12-room guest house welcoming bicyclists from the Great Allegheny Passage and visitors to the Maple City year-round. This summer, the Gehringers opened the new Market Square Bakery and Café on the lower level of the house where they sell homemade baked goods, specialty pancakes, soufflés and quiche. This award is presented to recognize an outstanding tourism industry employee, whose exceptional efforts not only contributed to the success of their employer’s business, but contributed to the overall growth of tourism for the entire region. Nominated by his colleagues at Fort Ligonier, Gault will receive this award for his positive and upbeat attitude, willingness to assist staff and contributions toward educational programming. The LHVB’s annual dinner will be held 5:30-8:30 p.m., Oct. 25, 2017, at The Barn at Ligonier Valley. Members of the news media are welcome and encouraged to attend. To RSVP, please contact Anna Weltz at aweltz@laurelhighlands.org, as soon as possible to secure attendance. Visitors to the Laurel Highlands can find information online at www.LaurelHighlands.org, calling 800.333.5661, www.facebook.com/LaurelHighlandsPA and www.twitter.com/LaurelHighlands. Established in 1958, the Laurel Highlands Visitors Bureau is the official destination marketing organization for Fayette, Somerset, and Westmoreland counties in southwestern Pennsylvania. Check out the 2017 Laurel Highlands Destination Guide!